We once heard a six year old kid asking his father, “How come the small boat didn’t drown and the big ship drowned in seconds?” This was in context to the movie Life Of Pi. Did this question strike your mind? We were inspired by the conversation and decided to analyze the movie with an entrepreneurial perspective to see what we can come up with. The younger generation these days is far more creative and curious. They want to learn new things each day & if they are not able to, it frustrates them. All they want to do is learn, make mistakes & be perfect in the end. May it be building a Lego house. Aren’t these traits similar to that of an aspiring entrepreneur? Pi’s father told him this once on the dining table. For an entrepreneur, pursuing a lot of things at one time often leads to quick burnouts. Focus on what you are best at and work on it. No one can keep you from succeeding. Remember how Pi goes around with individuals and then groups of students to make them understand the real meaning of Pi after he was teased by them? It’s important to get your image right in the market to avoid difficulties in the long run. Make sure you reach the right people at the right time and convey to them your real identity & work. When Pi was in the lifeboat with limited resources and a Bengal Tiger to handle, he got his hands on a handbook with instructions. Similarly, for an entrepreneur, referring to the handbook and planning accordingly is very important. List out the essentials, make a to-do list and follow it to make your work well organized and less confusing. Pi learned a lesson when he took along all the life supplies to the makeshift raft and a whale upturned it throwing all the supplies in the water. That is when he realized that staying with the Tiger might just be a wise thing to do. While starting up, resources are typically scarce and it’s important to guard them and stop losses. It’s good to have one secure base. Entering unknown territories without adequate research could be a deadly mistake, few startups can afford. Pi went through a lot until he finally accepted that he had to go through this journey with the tiger. It is always good to learn to co-exist from the beginning for an entrepreneur. Co-exist with your co-founder as well as with the competition in the market. Co-existence will teach you patience & make you realize where you are going wrong. Never ever think of giving up no matter what the situation may be. Pi did not give up, did he? Ocean, boat, limited life supplies and a tiger to survive with. He strived hard to get it right and he did. Hardwork will always show results. The journey of entrepreneurship brings along with it a lot of difficulties. But you are not here to quit. You are here to survive and succeed. Would you like to add to the points? Your inputs are welcomed. EDI’s PGDM-BE offers an exceptional learning model to make it easier for students to understand the crux of entrepreneurship. The programme is designed to develop a strong base for entrepreneurial and management skills. These critical tools will help the participants face any challenge in their career. EDI places a strong emphasis on entrepreneurship as a means to creating value for organizations and the development of leadership competencies. The methodology adopted at EDI varies according to various subject’s objectives and the skills, attitudes and behavioural patterns to be fostered. Though classroom theory is important for acquiring management knowledge but there is no substitute for practice in order to ingrain the entrepreneurial decision making skills. To this end, the pedagogy includes case study discussions, simulation games, teamwork, tutorials and role-play exercises, among other activities. The students are given opportunities to interact, challenge points of view and discuss business situations on an academic platform. One of our key strengths is the degree of personalized mentor provided to each participant. The seminar courses are designed to provide in-depth understanding of various sectors where the student want to associate in future. These first-year seminars are taught by EDI faculty in association with various industry experts and consultants. Seminar faculty often serves as informal mentors for their students long after the class has ended. Despite being intellectually more sound, well-informed and career-conscious, today’s youth often lack the qualities that make a person, enterprising. The need, therefore, is to create awareness to inculcate in them, the values of creativity, excellence, innovation, leadership and independence. It is assumed that these values will inspire them to select an independent innovative career option and excel in chosen career. With this objective, EDI has been regularly organizing well thought of, residential camps for youth and children. Camp on Entrepreneurial Adventures for Youth (Age group 16-22 years). The Institute has been successfully organising ‘YOUTH CAMPS’ during summer vacation to facilitate the development of the entrepreneurial personality of youth. ‘Summer Camp on Entrepreneurial Adventures for the Youth’ has successfully inspired and motivated a number of youth from the country. The camps are open for those studying in Higher Secondary or Colleges in any discipline. The specific objectives of the camp are to : (i) enable them to realize their latent potential and develop their capabilities to meet the challenges ahead; (ii) counsel and motivate them to seek independent, innovative and challenging career options; (iii) foster entrepreneurial traits including creativity, concern for excellence, leadership, problem solving, etc. ; (iv) establish a forum of the participants for networking and to fruitfully utilize such interactions in future entrepreneurial ventures; and (v) provide them with an opportunity to interact extensively in formal and informal settings, with well-known entrepreneurs and achievers. Consistent with the objectives, the camp focuses on : (i) entrepreneurial motivation development exercises; (ii) evaluation and development of entrepreneurial traits and competencies; (iii) visits to institutions of repute to analyze the process of creation; (iv) exposure to potential opportunities existing in industry and other occupation; (v) self-assessment through specifically designed psychometric tests and instruments; (vi) career and psychological counselling; and (vii) formal and informal interaction with successful entrepreneurs and achievers. Objective of this camp is to make the youth realize their hidden potential and develop their capabilities to meet the challenges ahead by acquiring entrepreneurial traits of risk taking, creative thinking, conflict management, effective communication, teamwork and managing one’s emotions. Children are the building blocks of any country. In a country like India, the need to sharpen the intellect of the children of today and orient them towards higher order achievements is strongly felt. 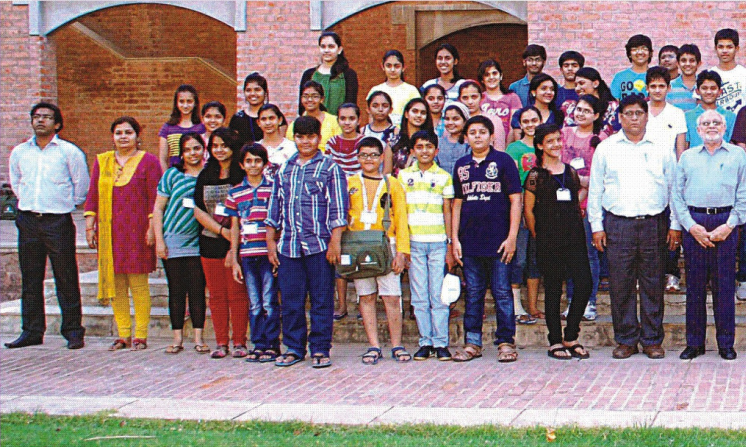 In order to inculcate the spirit of enterprise and achievement among children at a tender age, EDI has designed a week long training camp which focuses on activities like motivation and creativity exercises, puzzles/ riddles, value education through specifically culled out anecdotes and stories, presentations, industrial visits, and interaction with successful entrepreneurs and achievers. The camp has been extremely successful in developing confidence and instilling positive thinking among participants. The salient features of the camp, which started in 1994, include a ‘Parents’ Meet’, friendly interactions with well-known achievers from different fields, focus on Yoga etc. Though children from different states participate, language is not a problem for them as it focuses mainly on activities. Objective of this camp is to inculcate the ‘Spirit of Enterprise and Achievement’ in children so that they target higher-order achievements. Management’ (FPM), duly approved by the All India Council for Technical Education (AICTE), New Delhi from the academic year 2014-15. Considered as a doctoral programme, FPM would commence at EDI in July 2014 as a full-time programme. The country needs entrepreneurs to lead the economic development and opportunities for job creation; it is prudent that there are structured academic programs of stature to create scholars and thought leaders in entrepreneurship education and research. EDI, therefore, proposes distinguished ‘Fellow Programme in Management’ with emphasis on Entrepreneurship. The programme intends at contributing to the field of knowledge in management & entrepreneurship and extending the same to a chosen field. Accordingly, FPM proposes of two phases over four years. The first phase of the programe would comprise course-work involving Fellow programme level courses followed by a comprehensive qualifying examination while the second phase would consist of Thesis work involving preparation of a Thesis proposal, conducting research stated in the proposal, Thesis development and its examination. However, The Institute would adhere to the norms set by the All India Council for Technical Education (AICTE), New Delhi for FPM. The course will be a premier source of rigorous and inter-disciplinary research in major areas of Entrepreneurship & Management like, Entrepreneurship Education and Research; Innovation, Incubation, Clusters and Technology Entrepreneurship; Social Entrepreneurship; Corporate Entrepreneurship; Entrepreneurial Finance and Control; Entrepreneurial Marketing; Organisation Behaviour and Human Resources; Minority, Tribal and Dalit Entrepreneurship; Enterprise Creation and Growth; Family Business Management; Law, Policy and Governance; International Entrepreneurship and Women Entrepreneurship, etc. -To investigate synergy between theory and practice of entrepreneurship as relevant to the context; and accordingly strengthen entrepreneurship education and research ecosystem in the country. -To motivate researchers in conducting theoretical and empirical studies leading to policy papers and publications in scholarly journals/ books. FPM seeks candidates with outstanding academic background, intellectual curiosity and discipline needed to make scholarly contribution. The Institute looks for candidates with brilliance and strong desire to be the part of the academia/ industry/ research/consultancy, etc. The Applicant must have two years’ Master’s/Post graduate degree in any discipline with minimum 55% or CA/CS/CMA with minimum 55% marks (50% for SC/ST candidates) and a three-year Bachelor’s degree with at least 50% marks (from a university recognized by UGC/AIU/AICTE/ appropriate authority in India) in the aggregate obtained after completing higher secondary education (10+2) or equivalent. The Selection of candidate in the FPM is based on scores in CAT/GMAT/UGC-NET & JRF (in faculty of science and technology, humanities, social sciences, commerce, liberal studies, management, etc. as decided by appropriate authority), as applicable, and/or Entrepreneurship Research Aptitude Test (ERAT) of EDI. The candidates with relevant work experience will get preference in admission. The applicants will be interviewed at EDI in person. The fee and related details would be available on request. The Institute also has a provision of providing financial and infrastructural support to selected and deserving candidates which covers stipend and contingency, tuition fee, library, teaching material, examination fee, etc. 15th Convocation of EDI’s Post Graduate Diploma Programmes took place on 19th April, 2014. Honorable Chief Guest for the evening, Mr. GM Rao gave an inspiring speech to the students and motivated them to keep their desire for becoming an Entrepreneur alive to achieve success. “Finally,Gold Medal for Scholastic performance in Family Business Management Belongs to Me! Finally the rush for the ultimate achievement in academics comes to an end! The journey from a student who was every year “passed and promoted” to a student of good repute and Medal holder, was fantastic. Achieved a lot in these 2 years apart from the the gold medal and the degree. It were the super cool seniors, best of the best batch-mates and wonderful and fun loving juniors. The campus life and Ediots will always be missed forever. Harsh Dave’s father, who was overwhelemed with his son’s achievement & success as a student of EDI, sent EDI a review. Well, if I talk about Harsh, my son, he was an introvert during his school days. As a student of Best High School, Maninagar, he avoided attending majority of the classes and was annually promoted to the next higher class. Subsequently, when we moved from Maninagar to S.G. Highway Harsh was admitted to Hiramani Higher Secondary School, where he not only continued clearing annual examinations but also got interested in varied sports as well as martial arts. Gradually, he transformed into an active Short Put and Volleyball player. He also represented, Ahmedabad District Judo team, consecutively for two years. The X class brought a significant change in Harsh’s academic performance. When the board results were declared we received a pleasant surprise; Harsh had secured 74 % marks in the examination. This was absolutely unexpected! Earlier, Harsh was least interested in academic studies. However, the love and respect gained from friends, family and acquaintances on securing achieving 74 % in X class made him realize the significance of good academic performance for leading a decent, successful life and hence he started taking studies seriously. He was quite clear about his desire and often used to say: “I want to do something which is practical, apart from this history and social science work.” In the XII class Harsh opted for Commerce stream and began learning as well as exploring his academic life on his own. He was working so hard that even the School Management expected him to emerge as one of the leading board rankers. But Harsh could not find his place among the board rankers. Even at the school level he stood II (with a difference of mere 1 mark); the School Principal commented: “Harsh, no one remembers who stood II in exam; you are going to remember this difference of mere 1 mark for your life time.” This somehow motivated Harsh and he turned-up to me and said “Dad, now things will be in my favour, just watch how I perform!” And Harsh started pursuing his studies with zeal and worked really hard during his initial years of B.B.A. His dedicated and focused efforts ensured that irrespective of the nature of examination he would be placed among the top rankers. He also stood fifth at University level. Unfortunately, at his final year of B.B.A. Harsh could not secure the first rank and stood second. But this made him even more passionate as he realized the importance of maintaining consistency in performance rather than being complacent with mere one time achievement. 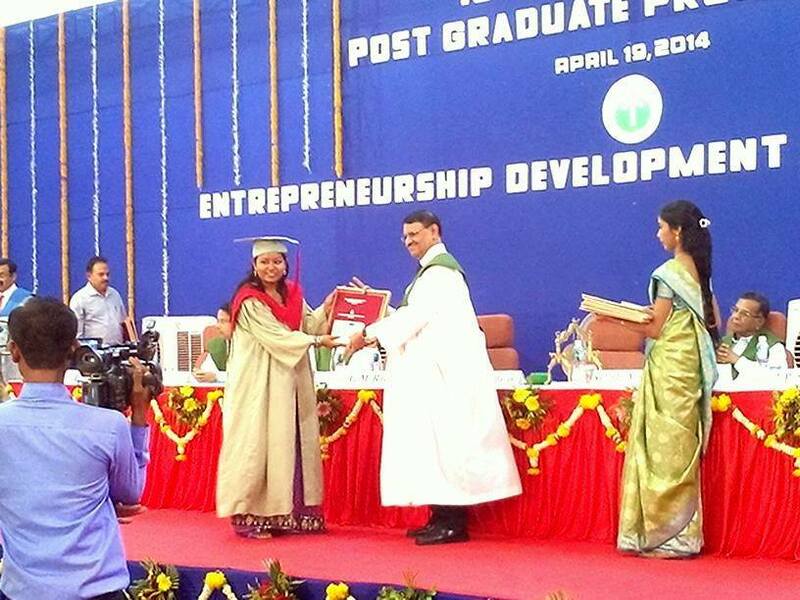 As a student of EDI’s Post Graduate Diploma in Management – Business Entrepreneurship (PGDM-BE), Harsh’s performance had been quite good; thanks to the conducive environment of EDI campus, ever helpful Faculty and Staff members as well as the commendable leadership of the PGP Chairperson as well as the Institute Director. The PGDM-BE programme groomed Harsh to enable him in fulfilling his dreams. Harsh remarked beamingly: “EDI, is one of the best place for people looking for a practical approach, especially in entrepreneurship education”. The individual attention towards students from well experienced faculty members along with a properly designed course structure of the programme completely transformed Harsh into an extrovert, encouraging him to fulfill his desires and dreams. Just as Harsh, I also will be unable to forget these two years that he underwent at EDI. 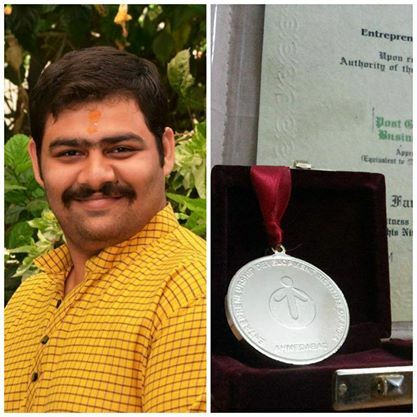 When Harsh bagged a Gold Medal in Family Business Management at EDI, he made me feel happy and proud about his achievements! I heartily thank Director-EDI, Chairperson (PGPs) and all Faculty as well as Staff members for grooming and supporting my son in accomplishing his career goal. EDI is a platform that not only creates entrepreneurs, but also transforms an individual to face the challenges in their coming journey. We are proud to have students like them who work hard to keep their dreams alive. 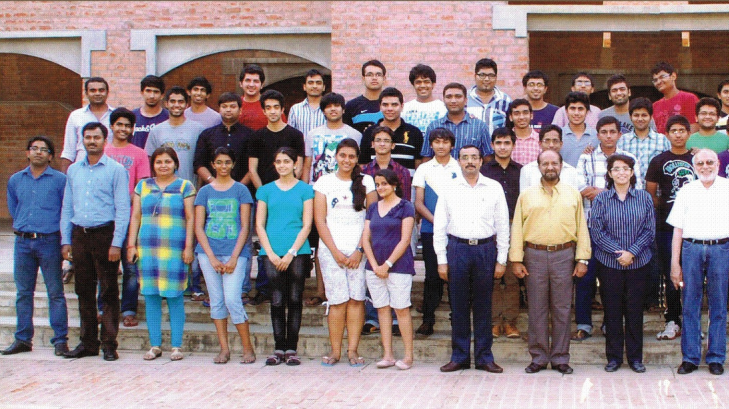 EDI wishes All The Best to the passed out students of PGDM-BE for a great future ahead.